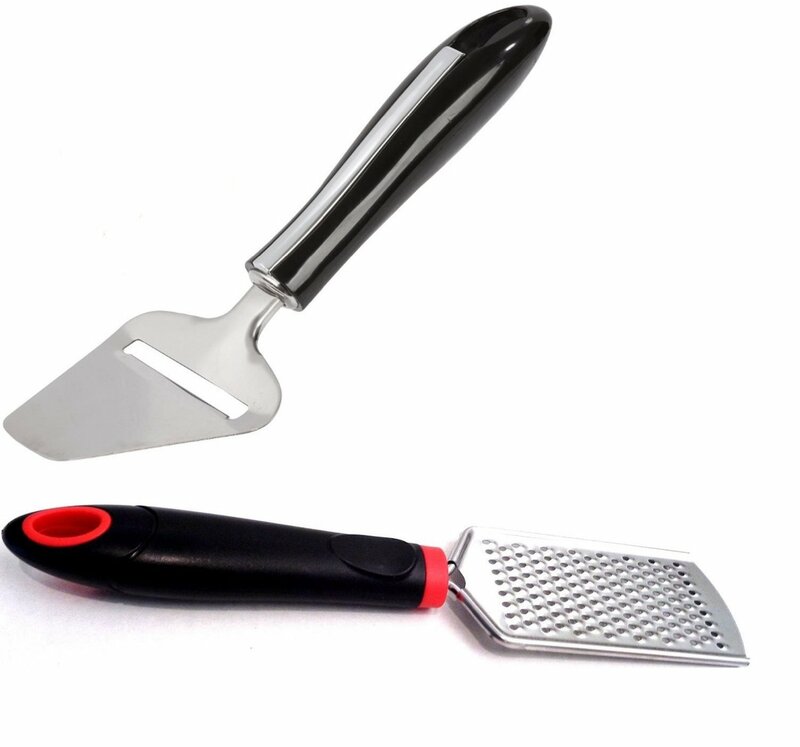 I just got this great cheese slicer from Cooking concepts. I love to cook and entertain so I love to find great looking but high quality items to use in the kitchen. I love this cheese slicer from Cooking concepts because it’s stainless steel, it has a great handle, and it works really well. The handle is comfortable to use and the slicer works really well and slices right through the cheese easily. I often will use this for entertaining. I will put out a nice cutting board with a cheese block and slice up some cheese slices and leave the slicer out for the rest of the block, then just replenish the slices as the party continues. It’s nice enough that it looks good setting out on the table. It comes with a hand grater as well as a bonus. I love these hand graters, I use them for so many different things when I am cooking. Because it’s small and you can handle it easily I just grate items right into the pan. I use it for cheese but also garlic, lemon, lime, cinnamon, anything I need to grate really. It works so well, it’s also stainless steel so it easily grates the food items right into the pan easily. You can purchase it from Amazon!